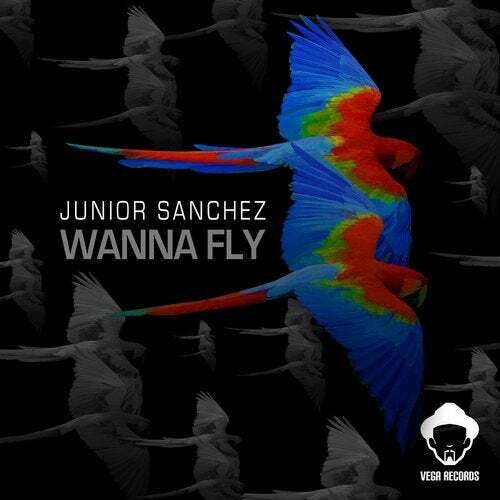 Summer 2015 brings forth an amazing 1st, Vega Records release of "Wanna Fly" by Junior Sanchez. Its the first release bringing Louie Vega & Junior Sanchez together to create a definite chart topping hit track! FLY BEATS is exactly that.... some seriously FLY BRAZILIAN FLAVORED BEATS filled with rich elements, AND SMACKING SAMBA DRUM SLAPS and wild spirit. Minimal, fast moving and multifaceted House Music with that signature Junior Sanchez style that's been captivating the House scene around the world for over 20years. Junior Sanchez has often been described as a child prodigy, turning dance floors across NYC and the world out from the young age of 15 and having always looked at Louie Vega as a mentor of sorts. From the days of Sound Factory Bar / Underground Network Parties and hanging with Armand Van Helden, Junior knew WANNA FLY was the perfect project to bring to VEGA RECORDS attention. Louie felt the power of WANNA FLY from the very first intro "This right here is FIRE, its exactly what I would expect for our 1st release together and even more, people are going to loose there minds when we pump this through the system!" Louie recalls when he first heard WANNA FLY. WANNA FLY, Junior Sanchez are the tracks that can start, end, and or take any dance floor to that perfect peak of excitement. Offering multiple versions the versatility can work with any and all DJ's sets to create that perfect atmosphere. These tracks speak the truth..."don't you WANNA FLY?" when you step onto a dance floor or drop that one track you know everyone is waiting for? Well here they are! Between FLY BEATS and WANNA FLY you feel the insane creativity of Junior Sanchez coming together with ease to put out these hard hitting, sure fire hits to elevate your mind, body, and soul... House Music on a whole other level for SUMMER 2015 is what we strive for and what we've achieved right here.... "WANNA FLY" is your chance to fly.... enjoy the music the way we enjoy creating it!